Balloon animals are a wonderful birthday party gift for most of the people. Here is a gift for all those who have dreamt of meeting few balloon animals that can award them with some bonus features in the “Balloonies Swap and Pop” an online casino casual by IGT Casual. The players while playing this game can win amazing prizes just by meeting some lovable animals. Moreover, there is a wide variety of the line bets to play, when players play on iPads or tablets. Overall, it will offer players brilliant ways for enjoying everything just at one place. Balloonies Swap and Pop Gameplay!! Gerry a baby Giraffe is one of cutest balloonie in this world and has high neck when it comes to winning prizes for players. Ernie an Elephant and Mia a Monkey will also help players in winning loads of prizes, while players must be careful when dealing with Henry a Hedgehog as when he goes wild then you wouldn’t want him to pop up all remaining balloonies with his pricks. 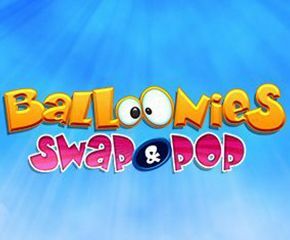 Balloonies Swap and Pop casual game has a perfect combo of alluring graphics, interesting animation and an electrifying soundtrack that does a proper Fairplay with the theme of this casual game. It comes with a decent return to player percentage of 89.00%. However, it does not possess any free spins round for achieving big wins. One of most famous names in the world of casino world is IGT casual. The IGT casual has been very successfully entertaining as well as rewarding casino punters for a long time. It is one of those leading casino company which design, manufacture, develop and distribute the casino casual game all over the world. The games manufactured by them are perfect examples of the products which are developed through innovative as well as critical thinking along with the latest technology. The Balloonies Swap and Pop features a variety of crazy and cute critters. This 40 paylines will surely make the gameplay super fun. 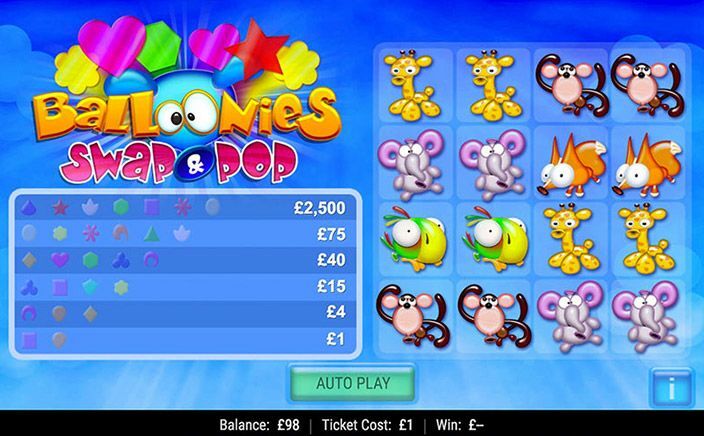 To achieve some big wins the players must line up three or more similar symbols Balloonies for collecting shapes. After which, they will be asked to reveal all the collected shapes in the group for achieving huge amounts. Interestingly, to make the fun more exciting, every match may result in an instant win prize. Balloonies Swap and Pop is one of the most entertaining casino casual game developed by IGT casual. This casual casino game has a high rewarding symbol which offers hefty payouts to players. It also includes autoplay feature which makes it easily playable for the players.